The most comfortable and safest way to get to a resort is to take the shuttle bus operated by the resort. However, if the resort does not operate shuttle buses, your next best option is public transportation, which is affordable and just as convenient and safe. 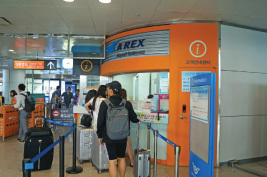 AREX is Korea's airport rail that travels from Incheon International Airport to Seoul Station. The express train takes 43 minutes, and the all-stop train takes 56 minutes. It is the fastest way to move from the airport to Seoul Station. In addition, the express train has a cabin crew and provides free Wi-Fi, a premium lounge and other services for customer convenience. 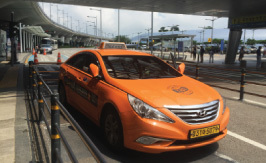 International taxis are available at the airport. 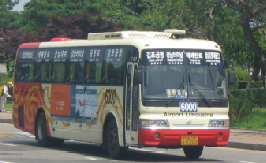 Depending on where in Seoul you are going, the fare from can range from a minimum of 55,000 won to a maximum of 110,000 won. Mpass is a transportation card for foreigners only. With this card, visitors can use metropolitan subways and Seoul’s intra-city buses up to 20 times per day. The card can also be charged and used as a T-money card at T-money affiliated stores, and taxis. * Excludes 5,000won card deposit. When card is returned, 4,500won will be refunded. There are high-speed trains (KTX) and standard trains (ITX-Saemaul, Saemaul, Mugunghwa, Nuriro and DMZ Train).